If you’re reading this, it’s because you’re a leader who wishes to drive innovation in your company in a thoughtful and purposeful way. That’s why entire sections of this book are dedicated to learning how to manage an open innovation project, avoid common mistakes, and find the right tools. How can we systematize what seems like the “luck of the draw” of finding someone in a completely different industry who has the answer to our current challenges? How can we hop on tools and technology trends in a strategic way that helps us meet our organizational objectives? How can we go beyond idea generation to use open innovation to beat the competition, conduct groundbreaking research, and form partnerships with the best external organizations and individuals? 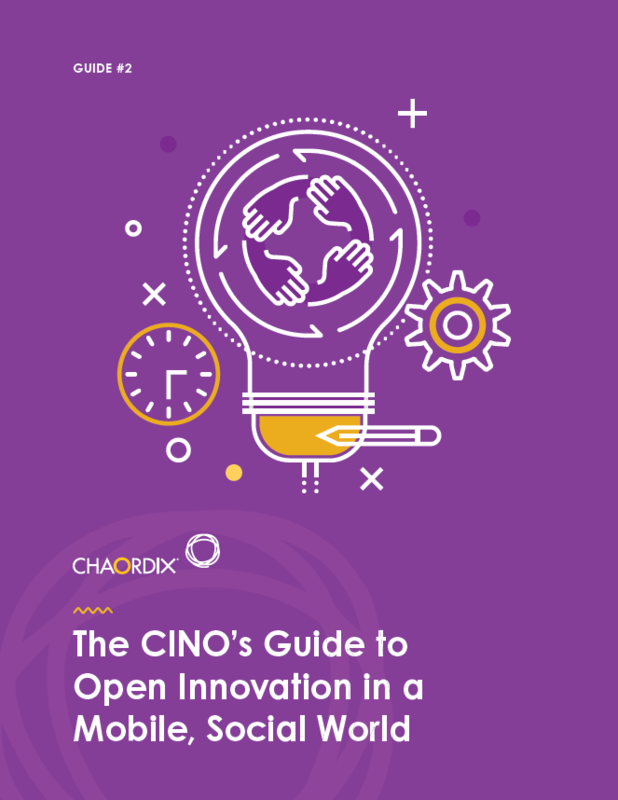 These are some of the questions Chaordix will be exploring in “The Chief Innovation Officer’s Guide to Open Innovation in a Mobile, Social World”.